Hey Ladies! 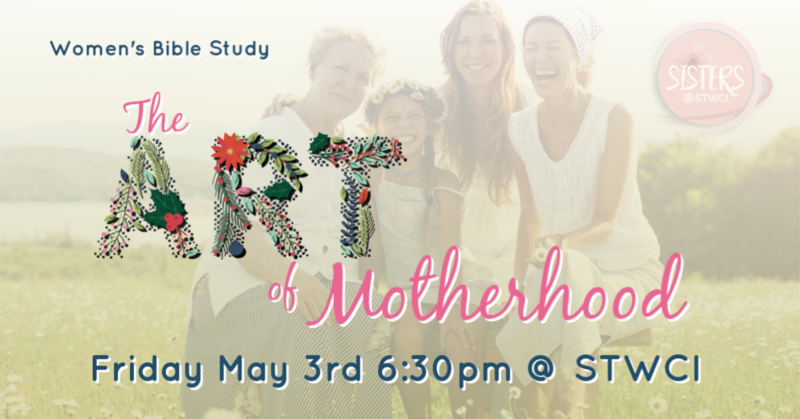 Mother’s Day is next month and you are invited to our next bible study “The Art of Motherhood” on Friday, May 3rd from 6:30pm to 8:00pm. How has motherhood impacted your outlook upon life and overall well-being? What have you received from your mother or what did you miss? Who impacted your life in such a way with godly key principles? How does our Heavenly Father impact the way we engage with our mothers, others and ourselves? Who do you know you that needs a mentoring mother? Come and join us and bring a friend!